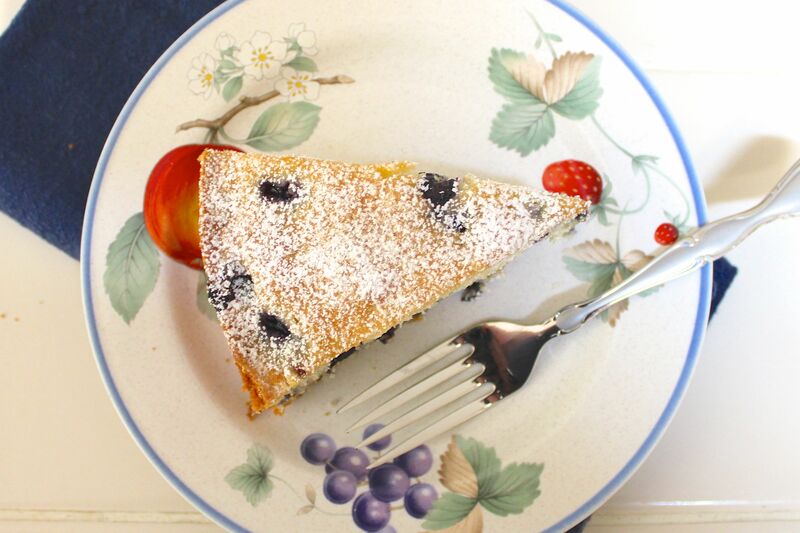 When I saw the Blueberry Muffin Cake on the Lines From Linderhof blog, I knew I had to try it. I already had everything in my kitchen (blueberries are at their cheapest right now here in California) and an invitation to a pool party that I couldn’t attend empty-handed. This easy snack cake is made in a springform pan. It’s on my wedding stoneware: Luscious by Savoir Vivre. We’ve had the stoneware for 21 years, and I’m pretty sentimental about it. The cake looks exactly the same as it does in the pictures on the Lines From Linderhof blog. No mixer is involved, just a bowl for wet ingredients and a bowl for dry. Then you stir them together. Easy and delicious. 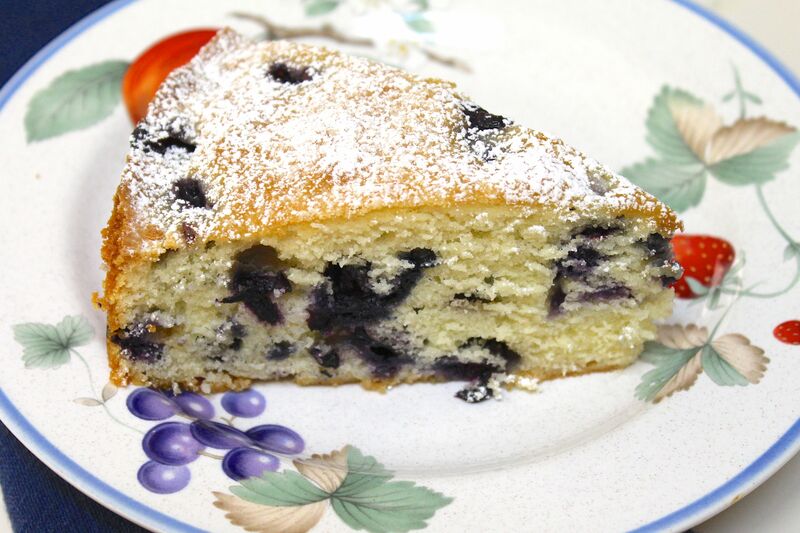 I have a blueberry muffin recipe that calls for mashing up a 1/2 cup of blueberries and mixing that into the batter before folding in the blueberries. I may try that next time I make this. I love snack cakes, and this will become a staple in my house during blueberry season and will definitely show up at a future tea party. Martha Meinsen Scott at Lines From Linderhof is always making something tasty for lunch or tea. If you love that sort of thing like I do, you should visit her blog. I just *knew* this was going to be a print with blueberries on it. Looking tasty, yes.